Josh Moody and Robin Weekes. 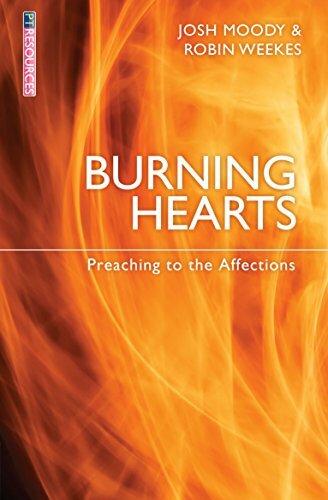 Burning Hearts: Preaching to the Affections. Christian Focus, 2014. 144 pp. $11.99. Do you remember those arcade games with a mechanical bar that slides back and forth, continually nudging a huge stack of coins that rest on a shelf? You “play” the game by dropping in coins and hoping the mechanical bar will nudge the stack in such a way that some fall off the ledge. Most of the time, though, little or nothing happens.